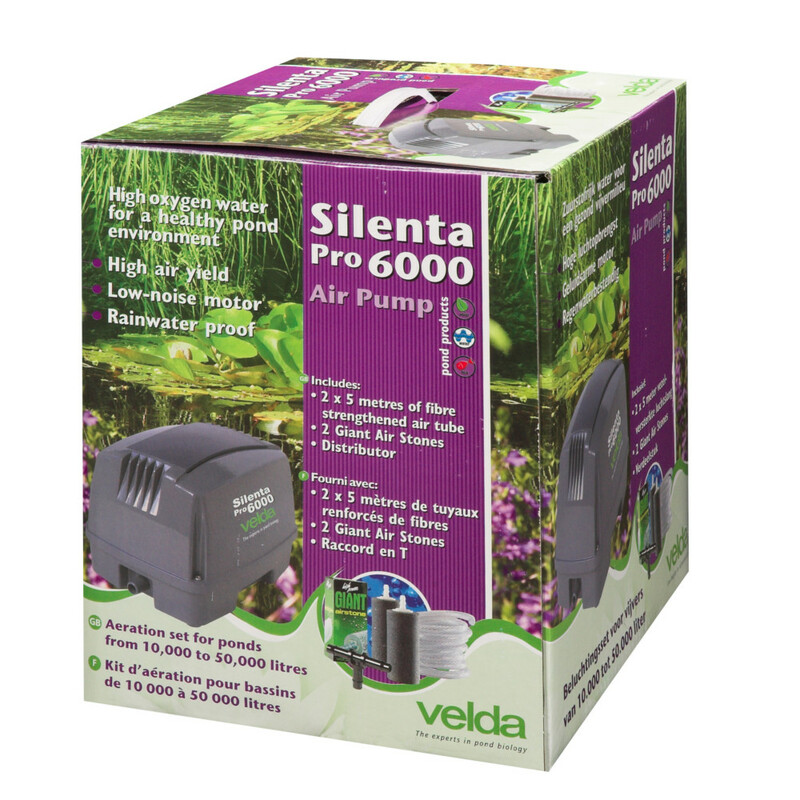 Velda Silenta Pro Air Pumps, reliable and powerful air pumps to help you keep a healthy pond. Adding an aeration system such as an Air Pump to a pond ecosystem can greatly benefit the life within all through the year. As the weather temperature rises in the summer, so does the water temperature in the pond. Your fish and plants will be more active during this period and thus require more oxygen to thrive. Furthermore warmer water holds less oxygen than cold water,which is why you may see fish may start to swim closer to surface to gasp for air on very hot days. 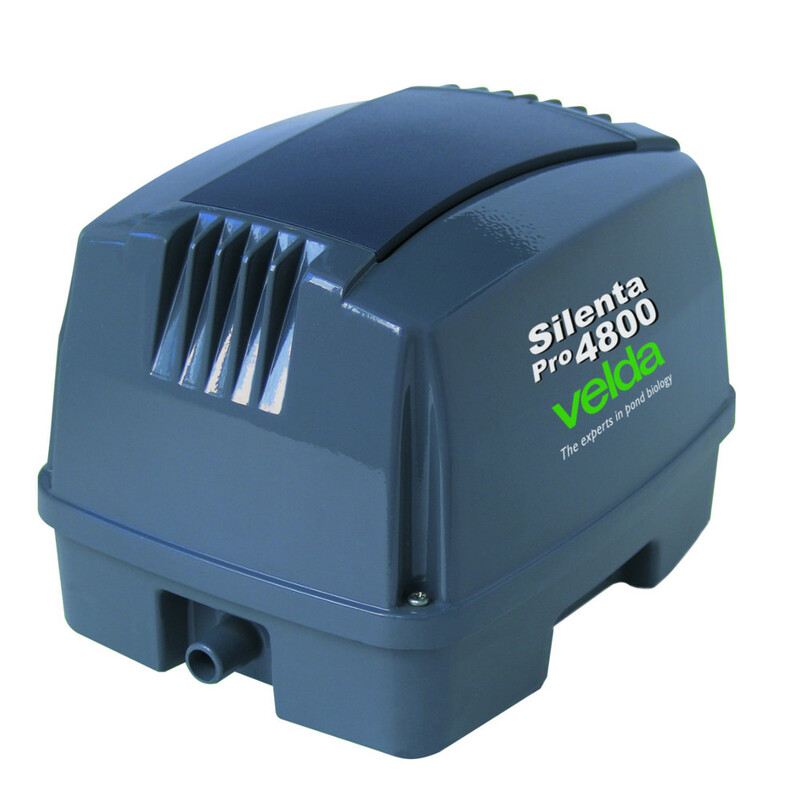 Air pumps increase the oxygen levels by pumping air directly into the water. 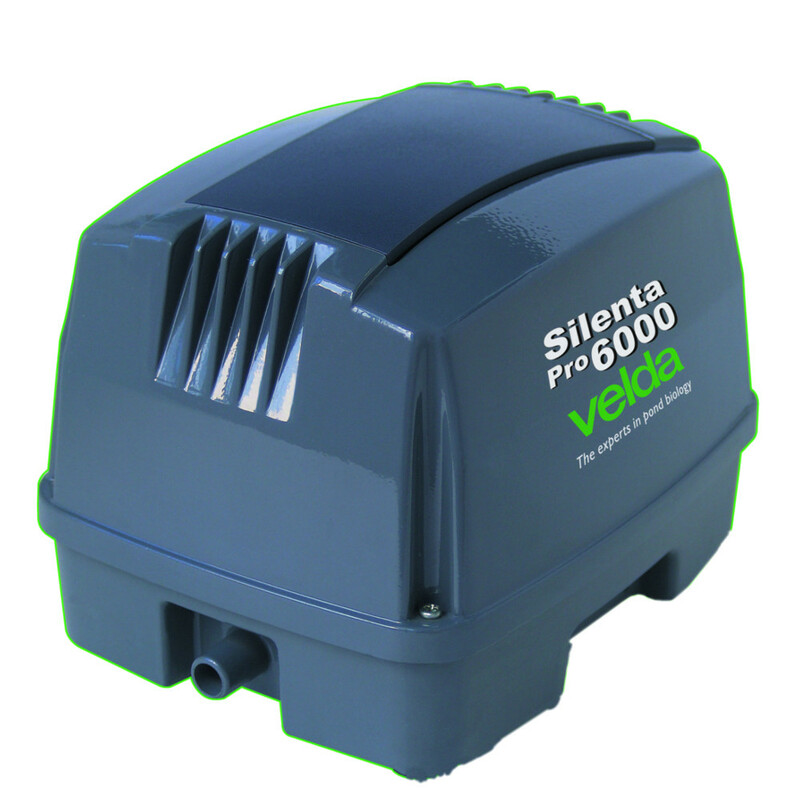 Air pumps are also effective in the colder winter months if the water is at risk of freezing over. The pump will create bubbles and water movement that help to prevent the surface freezing solid, this allows oxygen a natural way into the pond and the harmful waste gasses a way out. 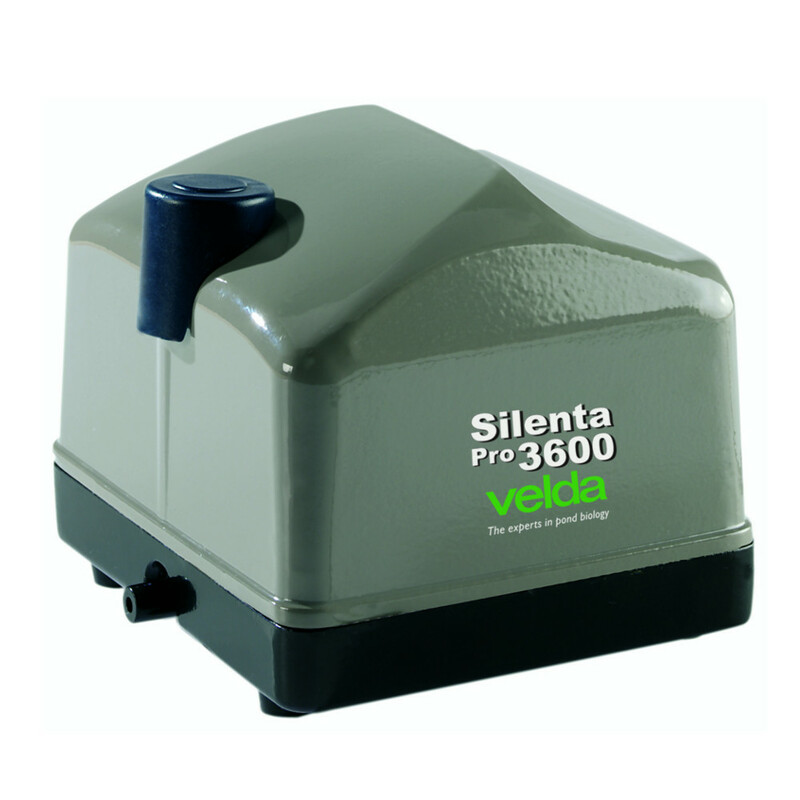 The Velda Silenta Pro are a superior line of Air Pumps, they combine tremendous air yield with excellent quality and reliability. 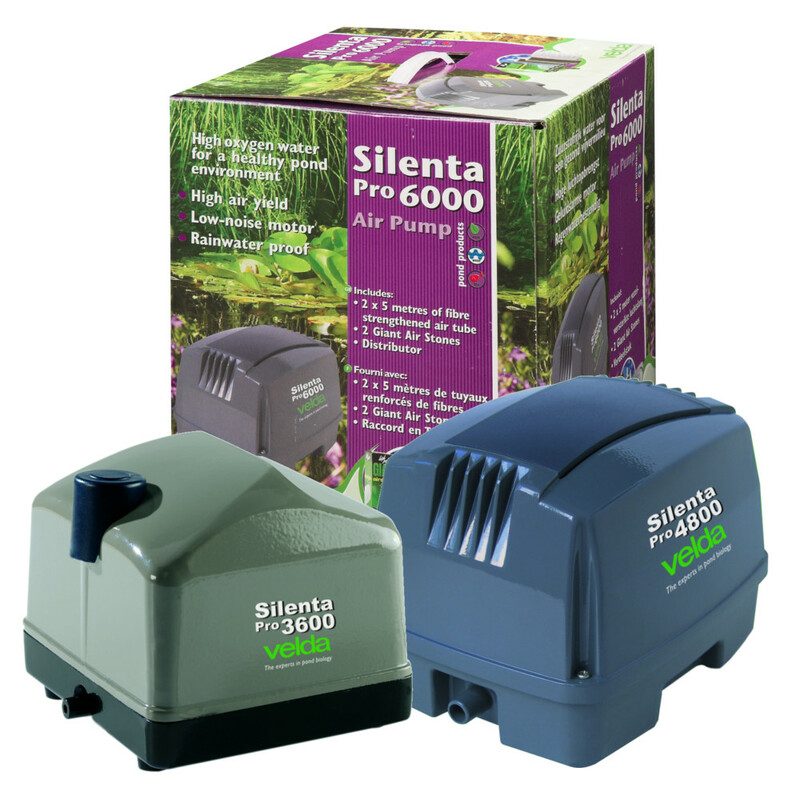 The pumps can be used in all weather conditions to effectively aerate the water, but these are also versatile and can be used in some larger aquariums to produce the same results. The Silenta Pros are low noise producing pumps, ideal to be included in a quiet garden or pond setting. Each pump comes with all you could need for an instant setup including airline tubing with an 8mm internal diameter and a "Giant" Aeration stone.